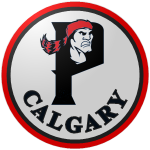 For over a decade the Calgary Pioneers had a core of three players that led the team to 6 playoff appearances in 8 years. All 3 had their moments of glory, but none got the recognition they deserved. Then in 2035 the streak came to an end as one of them departed. It was assumed that 2036 would be the last season in Calgary for another, but then came the surprise. They brought the band back together!!! We of course are talking about the trade that brought Dan Leonard back to the team, to reunite him with Mario Soriano and Tony Franco. Leonard played with the team from 2021-2034, Soriano from 2027 on and Franco has been here his entire career starting in 2019. They have all been all starts, they’ve each won Zimmers and only Leonard doesn’t have a Puckett. Of course each is past their prime and only Soriano will be a starter this season, but it looks like each will get the chance to finish their careers in front of the best fans in baseball. Franco has been here the longest, 2037 will be his 19th season, 16 as a starter. He began his career at 2B, played there 3 years and made his first all star game at the position. Then it was to shortstop he went for the next 2 years and he won his first Puckett. He primarily played 3B the rest of his career and racked up a record 8 Zimmer Awards, 2 Pucketts and another all star berth. Franco has played more games, 2572, than any other player in Calgary history. He is 3rd with 2607 hits and will probably end the year as the team’s all time leader passing both Terry Cochran and Hector Cano. He has hit 407 homers 3rd on the team and ranks in the top 10 in most of the team’s offensive categories. He is signed for 3 more seasons and should end his career in a Pioneer uniform on his way to the Hall of Fame. Leonard broke into the league in 2021 as an 18 year old, one year younger than Franco was, and played the next 15 years with the team primarily at 1B. However, when he first came up with the team they tried to make him an outfielder, including a disastrous year in CF, and he even tried a few games at 2B and 3B. Beginning in 2025 he moved to 1B full time and began his long reign there. A 4 time All Star selection and 2 time Zimmer winner at 1B, Leonard was also the MVP on the team’s Landis winning team in 2021. The team let Leonard go after the 2034 season and he spent the past 2 years in San Antonio. Coming back he is still the team’s all time leader in singles 1954, triples 128 and 4th in hits with 2580. Overall Leonard has 2788 hits giving him a shot at 3000. He is signed for the next 3 years if the team can continue to find him a roster spot. Soriano began his career in Indianapolis and played 6 1/2 seasons there before coming to Calgary in the middle of the 2027 season. He has been an All Star 4 times for Calgary (6 times overall) including 3 in a row. He has won 2 of his 3 Puckett Awards here and had a Zimmer when he was in Indy. Although he has spent fewer seasons in Calgary than the other two, Soriano has made his mark. His .323 BA is 3rd on the team all time. His 203 hit by pitch mark is more than double 2nd place. He ranks high on the team list for triples and stolen bases as well. He has to be the only player in league history to have over 1000 hits, 400 stolen bases and 100 HBP with 2 different clubs. At 2984 hits, he should join the 3000 hit club in April, His extension give him 2 more seasons in Calgary and who knows after that. His trip to the Hall of Fame should come soon after his retirement. Among active players Soriano is 3rd in hits, Leonard is 4th and Franco is 5th. Leonard is 1st among active players in triples and Soriano is 2nd. Soriano’s 865 stolen bases are 7th all time and leads among active players. Franco is 3rd among active players in home runs and 4th in RBIs. Soriano’s 339 HBP are 1st all time in the BBA, 2nd place is 263. All of these players are expected to find spots in the Calgary organization after their playing days are over, but the fans are going to enjoy at least one more season of them on the field together.